When i first joined the forum,there was a thread about Indian US rapprochment and i commented that India was a ''big cake'' which all major players want a piece of,well the US got the cake. Another comment of mine was that you will be ''used'' as a deterrent force against China. You will get ''top nodge''(just good enough) US military equipment,be it with JV's,production lines or direct sales so that you are dependent on the US for your defence. Same thing happened to my country until the end of the USSR,after that they never trusted my country so we got all the outdated crap from other NATO countries at huge costs but what they didnt take in account was that my country already started a indigenous defence industry in 1980 it started maturing at the end of the 90s,now in 2017,my country is 65% independent in defence equipment. There are many projects going on,Milgem(corvettes,Frigates,Destroyers),Milden(new indigenous Submarine),TFX(5th gen Fighter Jet),TRJ 328(JV transport plane)ALTAY MBT,Turboshaft engine,Jet engine for the TFX,AESA radar for the TFX etc. Every JV is made so that the Turkish party ownes 51% of the company,all the rights are Turkish. You decide if the defence industry of my country is mature enough. Btw,why all these gestures to Pakistan? Pakistan is a true all wether ally,they stood by us in our times of need and it has nothing to do with religion cause if so,all the Arab countries would be our ''true'' allies. The commercial aspect of this collaboration is to open production lines,JVs and R%D in Pakistan which makes it cheaper and matures Pakistans defence industry. A piece of the cake - not all of it. Not by a long shot. In the current/foreseeable scenario, no country is capable of grabbing the entirety of the Indian cake. But it doesn't help the US case that the most important part of India's strategic deterrence (SSBNs) are being built with huge Russian collaboration/assistance. This is something the US would/can never do. Is that right? You are a member of the Joint Strike Fighter program, you'll be procuring some ~100 of them and from what I've learnt, you have a good work share in maintenance contracts etc. as well. The F-35 is like the premier US weapon system among NATO partners right now - how is that outdated crap? Also, I've heard about your TF-2000 frigate/destroyer project and it appears it will be adopting AEGIS system and SM-series missiles? Also - would you not say that the distance that is gathering between Turkey and US/Western Europe countries in recent times has nothing to do with Erdogan and his policies? I'm no expert on US-Turkey relations, but from what I can gather from the news I see, the Turkish political leadership is also largely responsible for the rift with US/West Europe. We also have our own missiles ready when the TF-2000 is operational. Atmaca(Harpoon block 2 ),Gezgin,SOM,and many more missile programs. The Rafale G2G was done after IAF/then Govt. already declared Rafale the winner of MMRCA. The one had nothing to do with the other! MMRCA was for 126 fighters, licence production in India, credible ToT, none of that was achieved with the PR deal for 36. Recent updates from Parikrama suggest NSA is now more open to additional Rafale deals before going ahead with SE MII (this is after Dhanoa's statements, btw). You do realise that you compare an unofficial source on a forum, with an official statement of the IAF Chief right? And with all due respect to Parikrama, most of what his sources or sources said, is highly questionable even by simple logic, let alone official statements. Any Indian source, who claims to know things about a Rafale that not even the French have developed yet, can't be taken seriously. First you denied that they rejected any technology and now you come up with 1 excuse after that other. But once again, P8I won't get Brahmos, Mig 29K can't carry auch heavy weapons, if F18SH is selected and only Harpoon, JSOW would be on offer without SLAM-ER so how do you expect them to fight a Chinese carrier or even Pakistani shore bases, with such limited A2G capabilities? Brahmos and Scalp will only be available for IAFs aircrafts and they have their hand full with the north eastern and western borders. An aircraft carrier is about force projection, but that works only when you have credible strike capability! The Migs certainly haven't and without the necessary weapons, the F18s, won't have it either. You do realize that SLAM-ER is actually older than Harpoon-II right? You are confusing SLAM and SLAM-ER. The latter has an additional wing kit to extend the range, compared to standard Harpoons and the older SLAM, besides that it has dedicated IR sensors and terrain following modes...Harpoon has roughly half the range of SLAM-ER. PMO simply isn't that stupid - if we think it is, then we are stupid. I am showing that we don't have a joint development on Kaveri and that we didn't wanted France to fix it, contrary to what you stated. And I am worried about more delays in the LCA programme, because we went back to dreaming about an LCA with Kaveri engine, instead of looking what the best solution for LCA is. Because we don't have an alternative!!! Kaveri is not developed, is not certified and you don't even know what thrust it offers, but are already certain that is is an alternative. This kind of unrealistic thinking is the reason why so many of our projects are delayed. Because we prefer to dream instead to follow rational development plans, with reasonable participation and time lines according to what we actually can deliver. requirements. So they got what they wanted, in operational and industrial terms, while we haven't achieved one or the other after all these years and all the money we invested. Might be tough to accept, but it is as it is! Yes they are responsible for a part,you are right about that but what the US is doing right now in Syria(siding with our enemy the YPG/PKK) is unacceptable,they have this ME project going on with the GCC countries and Israel(to complicated to explain in a few words) in which the ''Kurds'' get their own country with territories from Turkiye,Syria,Iraq and Iran to act as the ''police'' of the region. They sanctioned(hidden) many weapon sales to my country but provide the ''Kurds'' with all kinds of weapons to be used against us. I dont like Erdogan but this is not about him,its bigger,the US crossed some red lines and will pay for it by losing an important ally. Yes, it has everything to do with MMRCA - that's why we decided to go G2G with the MMRCA winner (and not some other jet like Typhoon or MiG-35). If the MMRCA hadn't closed the way it did, we would have had no basis to buy Rafale. Whether you choose to believe them or not is up to you. But I'd note that these "unofficial sources" have been proven correct more than once. And I'd also note that if we merely went by news articles on the net, then Rafale would never have been bought - until it was actually bought. The forum was abuzz with SE deal discussions before the official announcement even came about the SE MII program....all thanks to these unofficial sources and deductions. First you denied that they rejected any technology and now you come up with 1 excuse after that other. 1) How can anyone reject something that hasn't been requested? You said US rejected SLAM-ER for India, without ever providing any proof to say India ever even wanted them. 2) You made it seem as if US-origin platforms in Indian service were starved for land-attack weapons due to lack of SLAM-ER. I showed how this wasn't the case - because one, India doesn't operate any such US land-attack platform and two, the platforms India does operate are already on their way to receiving their land-attack armament of Russian/French origins. Pointless argument. Neptune can't carry BrahMos-NG even if the US allows it to. P8I was only ever intended to carry Harpoon-sized missiles...and the BrahMos-NG is much longer and almost twice as heavy as a Harpoon. It weighs 1500kgs while the max weight limit on the P8 underwing pylons is only around ~1350kg. Your're acting as if IN doesn't know this from the start. While in fact, the IN knew very well that P-8I will not be able to operate any version of BrahMos and they were OK with it. Why can't MiG-29K carry BrahMos-NG?
" he Harpoon Block II is an upgrade program to improve the baseline capabilities to attack targets in congested littoral environments. The upgrade is based on the current Harpoon. Harpoon Block II will provide accurate long-range guidance for coastal, littoral and blue water ship targets by incorporating the low cost integrated Global Positioning System/Inertial Navigation System (GPS/INS) from the Joint Direct Attack Munitions (JDAM) program currently under development by Boeing. GPS antennae and software from Boeing's Standoff Land Attack Missile (SLAM) and SLAM Expanded Response (SLAM ER) will be integrated into the guidance section. The improved littoral capabilities will enable Harpoon Block II to impact a designated GPS target point. " SLAM-ER is a Harpoon Block-1 variant. What we have is a Harpoon Block-2.
" It also uses a software package, mission computer, integrated GPS/INS, and GPS antenna and receiver from the AGM-84H SLAM-ER (Standoff Land Attack Missile Expanded Response). " Besides - as I said the reason why India does not have SLAM-ER is because 1) our forces didn't feel like needing it and hence 2) we never asked for it. Have you ever heard of batch orders? Remember how Su-30MKI numbers were built up? Most likely you do know. Just, you choose to ignore it all. And in case you were wondering, MKI was also a G2G deal. It is a joint project nonetheless - and we are working together to make sure it works as designed. LCA is now well beyond the point of sticking to any schedule. It will come when it well - at least the Mk-1 and Mk-1A will. No one can kill these. Mk-2 however is it different story. We don't have one means we shouldn't even try to have one?? Bro, a 4th grade pass does not make one more qualified than a +2 fail. cannonballs, zebra7 and GuardianRED like this. I don't understand why @Sancho keeps on saying we didn't want the french to fix kaveri, then in that case we could have rejected the offsets or the offer. It wasn't like the French were saying we will do this or else we will not oblige the offsets criteria. I said we didn't asked them to do it for Kaveri and as a co-development. It was on them to provide offsets that fits to the requirements and fixing Kaveri with M88 parts fits the research offset part and does not require to divert any critical things of Rafale and it's production itself. It will help us to give a failed project some hope again, but that doesn't automatically translates into using it, until we know if it fits the requirements of any plattform. LCA MK2 needs around 95kN wet trust, Kaveri K9 was only able to provide 70kN, the M88 ECO 90kN. Will that be enough with all the overweight, what will be the weight of K10 compared to the GE engines? AMCA according to ADA itself, requires around 110kN wet trust, far beyond of Kaveris and M88s levels so far. The UCAV project doesn't require wet thrust, so fixing K9 still could had made it useful too. Pride tells us, that we want an Indian engine on Indian aircrafts. But the reality is, that it also needs to have suitable specs. I take LCA MK2 with a GE 414 any day, over a Kaveri with not sufficient thrust, because the performance of the fighter is what protects India, not having an Indian engine. Which is wrong, because MMRCA was ended only after the Rafale deal! You refered to the F35 to not being requested which is wrong and I didn't said they rejected SLAM-ER, I said they only offered us weapons with far less range, based on what was offered throughout the MMRCA tender and compared to the competitors. No you tried to excuse the lack of capability for Indian Navy, with capabilities of IAF and the fact that you shy away from answering how IN is meant to attack a Chinese carrier or Pakistani shore bases with THEIR limited strike capability, shows that you have no answer, other than to divert to IAF again, which proves my point! 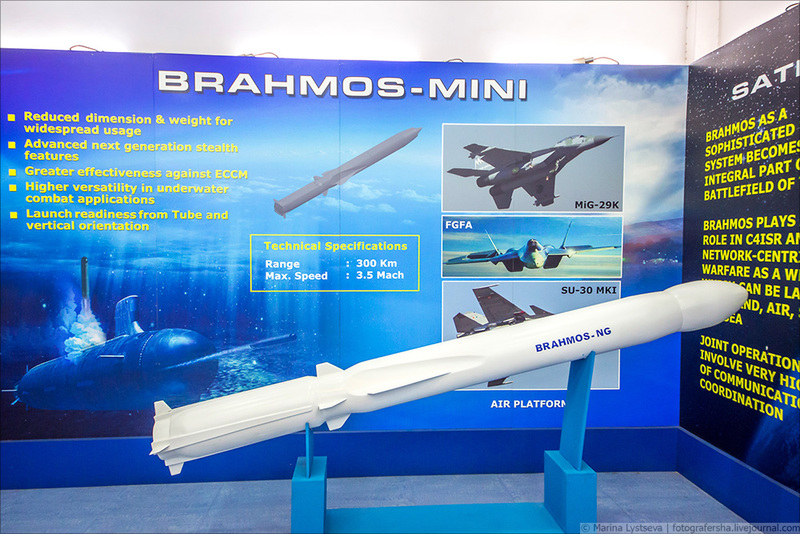 The only long range anti ship and land attack capability IN has, are Club and Brahmos missiles from their surface vessels and submarines, while their aircrafts are limited to Harpoon and KH35. Because it has only the internal wing stations that can carry such weights, which means it has to carry 2 of them and can only carry limited fuel. Not to mention that it's questionable if it could take off with such a heavy load anyway. Oh man, MKIs initial order was exactly the same as MMRCA was or SE now is meant to be according to the Air chief. A large order of 140 MKIs with 1 sqd off the shelf and the reat produced under licence. Only follow on orders were added to the production line, so according to you own example, follow own orders of SEs would be similar to the MKI built up, but has nothing to do with the Rafale deal. ...and it has nothing to do with MMRCA L-1 bidder selection, right? What they offer is inconsequential if we have no requirement for it. So YOU want to decide what capabilities IN should have, and not IN top brass? You want to send P-8 to attack Chinese carrier groups? Are you nuts? Please don't confuse P-8 with Tu-22M3. Using MPAs to attack carrier groups or shore bases is not something IN wants to do or has ever done! You are simply creating an imaginary requirement out of nowhere, don't you see that? Which is already more than enough capability for our currently perceived enemies. If IN actually feels the need for additional air-launched capabilities, that will be procured via the 57 MRCBF requirement. That's right, 29K can carry 1,200-litre DTs on middle wings too (if inner wings are carrying ASCMs). Besides, the 29K has a proven buddy-refueling capability. You can take off with limited internal fuel and make up for it afterward if need be. I don't see any convincing reason why you think 29K with BrahMos-NG is unlikely. And that gives a Mach 3.5 CM for a ~300km reach (more than any SLAM-ER). I don't see why you want to send P-8s to attack carriers or land targets when this is the case. As I said, you are drawing up imaginary requirements to show theoretical capability gaps (which are capabilities IN never said they want) to support your argument. That's lame. And you were the one blaming the US for not allowing BrahMos-NG on P8 when it's clear that carrying this missile is physically impossible for P8 - another reason why it was never meant to happen. Stop clutching on to straws dude. India has no need or requirement for SLAM-ER and that's the reason why we're not getting it. The first order was signed in 1996 for 40 jets to be procured directly from Russia. 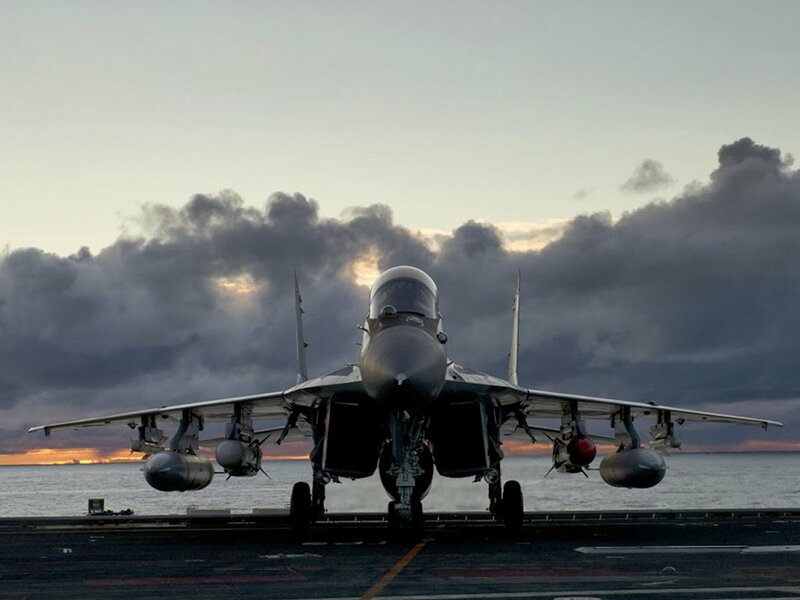 These were delivered in four batches over four years, each batch bringing improvements over the latter (first were Su-30K/MK with no canards, no thrust-vectored engines or the customized French/Israeli avionics). Only the last batch was fully-configured Su-30MKI, delivered in 2000. Meaning most of the first deliveries were place-holders and of sub-optimal spec and had to be retired early and replaced with full-spec MKIs (with Rafale deliveries we don't have this problem). Two years after the initial order of 40, we added another 10 to the order. Again off-the-shelf. It was FOUR YEARS after the initial off-the-shelf orders (2000) that we signed the MoU for HAL's local production of 140 full-spec Su-30MKIs. And the first Indian-built MKI came out some four years after this MoU (in around 2004). From where are you getting your utterly wrong information? I thought you manipulate requirements - now you want to manipulate history too in order to suit your argument? As already proven twice no! It doesn't fullfil any MMRCA requirements, nor was MMRCA cancelled by then. So keep repeating wrong things, won't make it right somehow. I don't have to, IN themselves asked specifically for anti ship attack capability in the requirement to replace IL96 MPAs, just as the Sea King replacement, include anti ship capability as a requirement too. So denying the requirement, just to not admit the lack of capability is the problem on your side. Now who is deciding what capabilities IN should have? I don't see any convincing reason why you think 29K with BrahMos-NG is unlikely. So you confirmed everything what I said on the load limitation, but failed to understand that the taking off with such a heavy load is the problem, when it's forced to carry 2 such heavy missiles. Lol and that after you repetedly denied that SLAM-ER has more range than Harpoon? MKIs initial order was exactly the same as MMRCA was or SE now is meant to be according to the Air chief. A large order of 140 MKIs with 1 sqd off the shelf and the rest produced under licence. You are so badly in denial mode, that you can't even see that you state exactly the same. Not to mention that all this distraction doesn't change the fact of the topic, that we put ourselves into more dependance to the US, while Pakistan gets stronger by moving away from it. Yes - it does fulfill MMRCA requirement, but the numbers are to be ordered/procured differently. You can't keep acting as if 36 Rafales is all that we will ever procure - when clearly it is not so! What lack of capability? P-8 already has AGM-84L fulfilling the Anti-Ship role and don't forget that before this, we used to operate Sea Eagle (shorter range and much older tech) on Il-38s. Harpoon Block-II is superior to the Sea Eagle. I'm not denying any requirement - but it is you who is imagining one! Il-96 is a passenger airliner btw. I'm not deciding anything - I'm just showing you what has already been decided. You're being funny now. First, I showed you how 29K has already been operating with similar loads as what 2 x BrahMos-NG on inner wing stations would impose, and is capable of taking off with heavy loads not just on inner station, but also on the middle station of each wing. Even IF taking off with full load of 2 x BrahMos-NG, one large centerline drop tank and full internal fuel is a problem - that is mitigated by the strike-configured 29K taking off with minimal internal fuel & being refueled mid-air by another 29K after taking off. So basically what you said is a pile of bogus, with an agenda (to discredit any existing/possible anti-ship/land-attack capability so that your point of US denying us SLAM-ER can stand). And after you wanted to hang BrahMos-NG on P-8 pylons. Lol - never seen a worse attempt to cover up a glaring error in your information. First of all you made it seem as if MKI off-the-shelf orders & local production deal were negotiated and signed as one deal (as MMRCA was meant to be or SE MII is meant to be). The truth is - MKI license production was signed 4 years after the initial contract for 40 off-the-shelf Sukhois was signed, in a separate MoU. In short, the Rafale procurement of today may proceed exactly how MKI procurement did 20 years ago. Initial 36 procured in a separate contract and additional orders/license production can come in a separate contract to be signed years later. Even if we sign additional Rafale order in 2020, that will be within the perimeter set by MKI deal. What's happening is that earlier our choices were limited to Russian/European/Israeli wares. Now, American has been added to that list. Rest everything is your misinterpretation. Pakistan plans to buy T-129 Attack Helicopters from Turkey as well as MILGEM Corvettes. 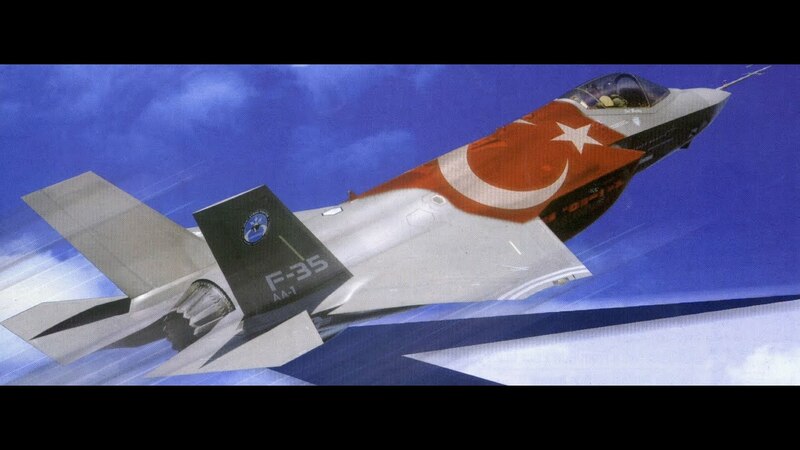 We would also join their 5th Generation Fighter Jet project. But I am really hoping Pakistan buys MRAP and IFV from them and also jointly develop future soldier program. Turks have been always our brothers and have total access to European Technology and with massive private companies in defence production we can see lot of goodies from Turkey in our forces really soon.